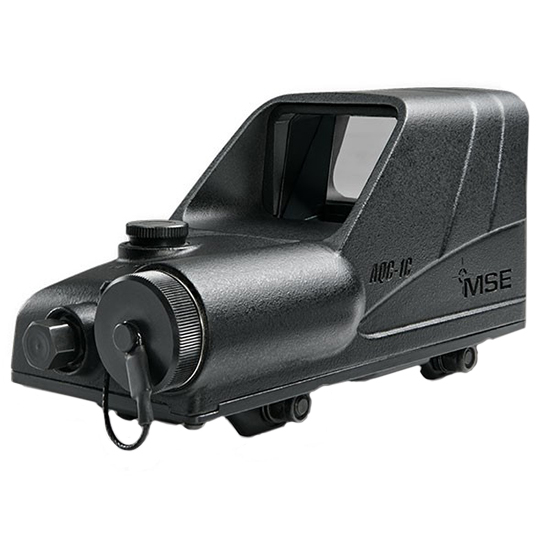 The MH1 is an advanced tactical red dot reflex sight. It has the largest field of view through the sight which greatly improves target acquisition and situational awareness in day & night (NVD) scenarios. 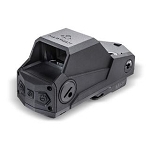 - The MH1 was designed to maximize the user’s performance with a unique ambidextrous wireless IR PTT button (infra-red push to transmit) that controls activation and brightness of the reticle. - The MH1 uses a shooter designed reticle which helps to maintain the weapon on a vertical plane for more accurate shooting using balancing lines at 3 & 9 o’clock and a centered red dot. 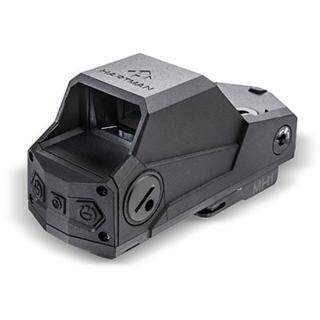 - Unique functions such as a USB charging port and unheard of user interface control makes the MH1 one of the most advanced and innovative reflex sights in the world at a very affordable price. - The MH1 offers the user a very different & efficient approach to battery consumption. The sight uses 2 batteries; a wall socket/lighter USB rechargeable battery and a standard single backup CR123 battery allowing for extended battery life and easy reachable access. This along with our sleep mode and dual 30° motion sensors which only activates the sight when a shooting movement takes place (no accidental activation) makes the MH1 a truly ingenious sight. - The ergonomic design of the MH1 allows for ambidextrous use of the uniquely angled rear activation buttons and easy access to the control panel even when placed directly in front of add-on optical devices i.e. magnifier or Night Vision Device (NVD). - The MH1 is built to MIL-STD-810F. - It is equipped with MIL-STD. 1913 Picatinny / Weaver mounting system assembled on the right side of the sight to avoid accidental opening. - Unique Features - Easily accessible angled ambidextrous activation buttons. - The only wireless remote-controlled reflex sight (optional). 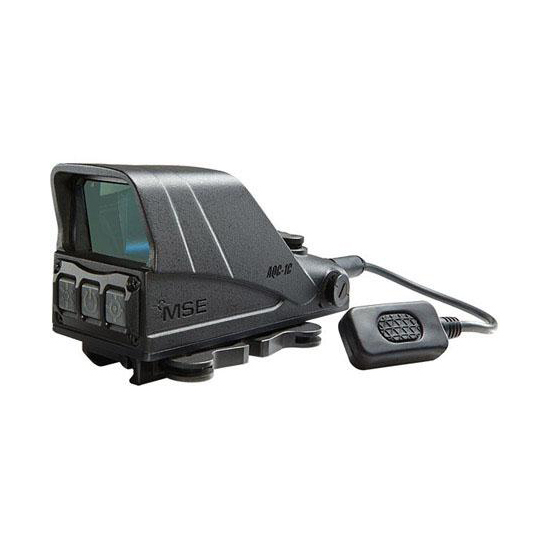 - One of a kind usb rechargeable reflex sight. - The largest field of view through the sight. - Accuracy enhanced reticle. - Smart battery consumption. - Custom user interface (optional). - Sleep mode & memory chip. - Dual motion sensor. - Night vision mode. - Fighter friendly low battery indicator. - Lower 1/3 co-witness with backup sights. - Rugged design - True parallax free. - Durable antireflection coating. - Invisible reticle from the target side of the lens. - Mil-std. 1913 Locking mechanism positioned on the right hand side. - Nitrogen filled fog resistant internal optics.